Guitarist Marc Mannino plays music for weddings, cocktail hour receptions, anniversaries and birthday parties. In addition, Marc adds a musically distinctive touch to special events, fundraisers, corporate functions and celebrations of life. Make your Valentine’s Day dinner a memorable affair with Marc’s romantic guitar instrumental interpretations. Marc plays guitar music for the holidays as well. His performances of traditional carols and Christmas jazz standards make your holiday party or New Year’s Celebration more festive. 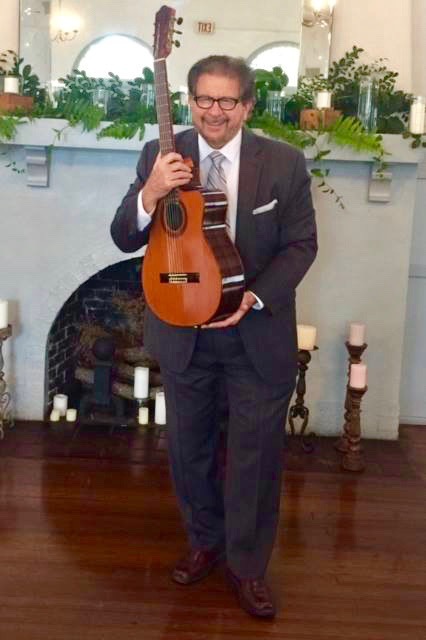 For over twenty-five years, Marc Mannino’s instrumental guitar music has been part of joyous wedding celebrations in the Sarasota – Bradenton area. He specializes in destination beach weddings on beautiful Anna Maria Island, Longboat and Siesta Keys, and along the beaches of St. Petersburg and Clearwater, Florida.